While some people are afraid of things that go bump in the night, Gerry and I will seek them out on our upcoming adventure in Memphis. 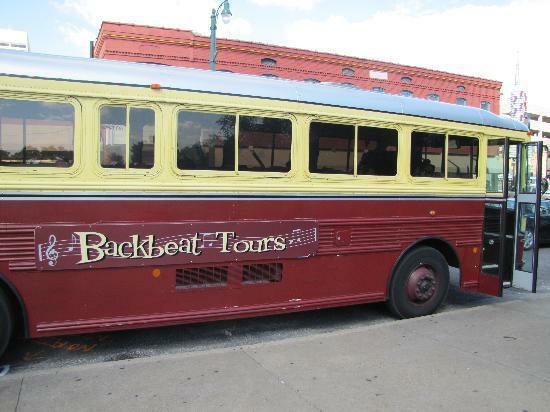 We will be taking a Ghost Tour-Dark Side of Memphis offered by Backbeat Tours. This tour will show us the dark and paranormal side of Memphis filled with con men, voodoo queens and creatures of the night. During the one hour we will visit haunted houses, bloody civil war hospital and Deadman’s Alley. Sounds spooky and like a lot of fun. The tour site offers much more than just Ghost Tours. You can take the Mojo tour which takes you to famous musical sites in Memphis, the history buff can indulge in a historical tour of the area, or you can try Memphis with a twist by visiting local bars and sampling signature southern cocktails. Of course, since you cannot escape Elvis in Memphis, there is the special Hound Dog Tour. All the tours are highly reviewed which just makes us more excited to partake in the experience. These types of tours are great for visiting a different side of Memphis, and often venturing off the beaten path will show you more about the place than any guide book ever could.